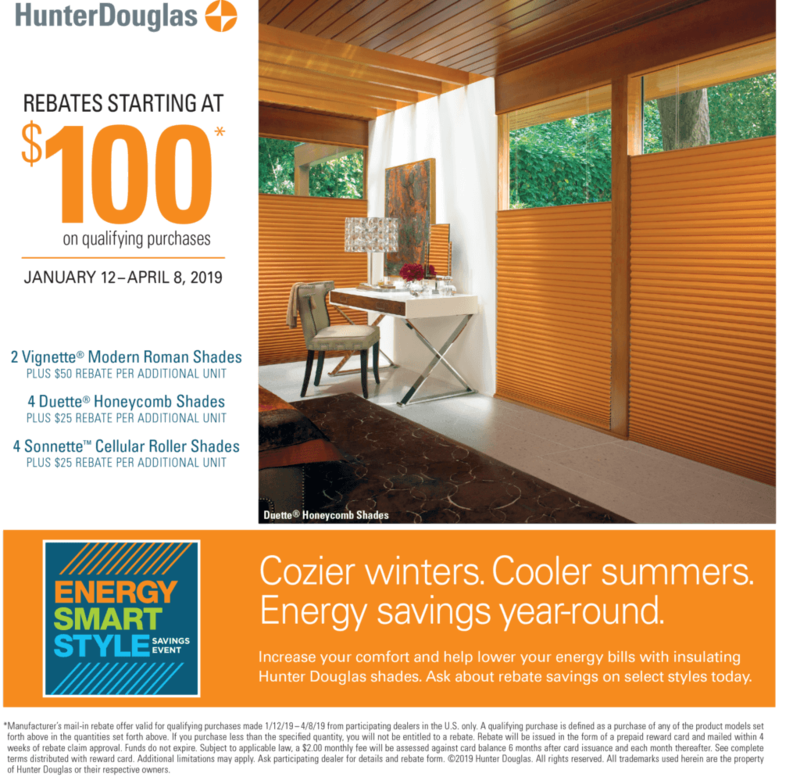 Superior Interiors Plus Decorating Inc.
Hunter Douglas Blinds,Shades & Shutters By..Superior Interiors Plus Decorating Inc.
Energy Smart Style Special Hunter Douglas 2019 Savings Event! ambiance morning, noon and night. That’s the beauty of PowerView™ Motorization by Hunter Douglas. using the intuitive PowerView App on your smartphone or tablet. You can also operate your PowerView settings using the stunning new PowerView Pebble™ Remote. creates a whole new world of beauty and convenience. The PowerView system can be operated via the PowerView App or via two different types of Pebble controllersa Pebble Remote Control or a Pebble Scene Controller. Do you Have A Broken BLIND? SHADE? Having trouble with your SOMFY Product? The delicate touch of translucent, layered sheers provides Shangri-La Sheer Horizontals with multi-faceted radiance. Shangri-La vanes, available in light-filtering or room darkening fabrics, adjust for varied light control. Shangri-La Shadings may be raised with the vanes still open, providing unparelleled functionality. Shangri-La is a perfect match to Stardust Soft Sheer Verticals and Harmony Cellular Verticals for the seamless coordination of all your window and door treatments. "NOT ALL BLINDS AND SHADES ARE CREATED EQUAL"